It’s time once again for one of the big football derbies of London. 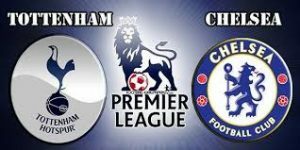 We are heading to the Wembley Stadium in the English capital, because Tottenham Hotspur hosts Chelsea in a match from the 13th round of the Premier League. Both teams are currently in the Top 4 of the league, being separated by just one point in favour of Chelsea. Right now Tottenham are 4th in the standings with 27 points and a record of 9 wins and 3 losses. Spurs are currently on 5 points behind the leader Manchester City, so they can’t allow themselves any mistakes, if they want to stay in the title race. In their last five games Tottenham won four of their matches, but suffered a home defeat against Manchester City at the Wembley. Now Mauricio Pochettino’s boys must prove that they can do better in these big derbies. Since their loss against the Cityzens, Spurs won two matches – against Wolves and Crystal Palace. Tottenham visited Crystal Palace in the previous round and enjoyed a 1-0 win at the Selhurst Park. The only goal in the game was scored by Juan Foyth in the middle of the second half. Meanwhile Chelsea are third in the Premier League standings with 28 points won so far and a record of 8 wins and 4 defeats. The Blues are still unbeaten since the beginning of the campaign. In their last five games they won three times, but also made two draws – against Manchester United and Everton. Now Maurizio Sarri’s team do not have any other option, but to return on the winning road. In their last game Sarri’s boys made a dissapointing 0-0 draw duing the home game against Everton. That’s our thoughts about the Premier League clash between Tottenham and Chelsea at the Wembley. Good luck!